We have heard lots of rumors about the specifications on the new iPhone 6, one thing we have heard very little about, is how much RAM the new iPhone will come with. The current iPhone 5S comes with 1GB of RAM, so we were expecting Apple to increase this for the iPhone 6, and would have thought that the device would come with 2GB of RAM. According to a recent report, the new iPhone 6 will come with just 1GB of RAM, although we are not sure how accurate this information is, as this does seem low, considering that the majority of Android devices come with at least 2GB and many with 3GB. Apple are expected to launch two versions of the iPhone 6, one with a 4.7 inch display, the other with a 5.5 inch display, both handsets are said to come with a sapphire glass display. Apple is also rumored to be launching their second generation 64-bit mobile processor in the iPhone 6, the Apple A8, which will bring improved performance, speed and better graphics to Apple’s smartphones and tablets. The handset is also said to come with a new fingerprint scanner that is designed to be more durable and accurate than the current one that Apple uses. 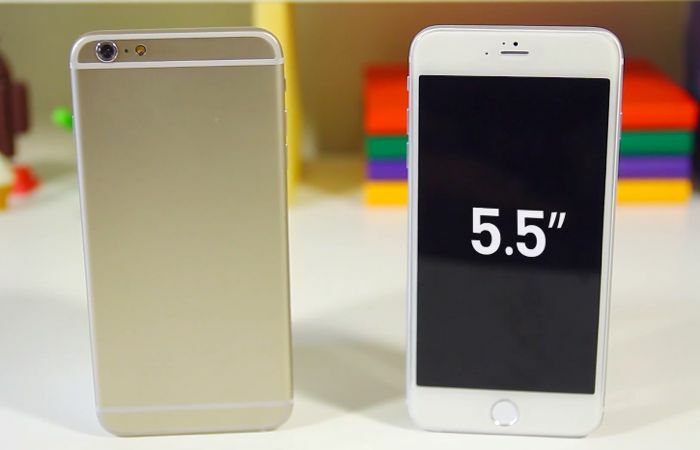 We are expecting the 4.7 inch iPhone 6 to be made official on the 9th of September, the 5.5 inch model is rumored to launch later in the year.